Those who missed the opportunity, Ninja Affiliate Plugin is for $30 discount till August 21, 2009 Midnight EST..Hurry now. 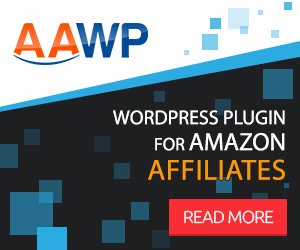 Buy Ninja Affiliate Plugin at $67 only. Here is my next contest with another cool prize. I am offering MaxBlogpress Ninja Affiliate Plugin worth $97 to a person who wins this contest. I am not asking anything more…just subscribe to email feed via email and comment here. Now this is different from previous contest. Your email would be counted only when you comment here. Unless you comment here though you are subscribed or not, your email will not count. Subscribe via email and Comment – Do both to get counted. You don’t need to blog about this contest to get a entry though you are most welcome if you do blog about it. Contest runs till 25 December, 2008 11:59PM IST. Winner will be announced on 26 December 2008. Contest has ended…Winners will be announced soon. I have subscribed and here’s the comment. Thank you so much for your generosity! Can’t wait for the newest post. Subscribe with e-mail ID used in comment form here. I wish i could win this great Plugin. Wish you luck. Thanks for subscribing. Thanks for the mention. Appreciated. I’ve subscribed. Hoping to win. Im just subscribe, This is great plugin i’ev know. Im bloged about this contest also. Thanks to everybody who have joined. Looking forward to more entries. Your email id is not in the list..I don’t see it. If you wanted the plugin, then you should have subscribed. Cool, I am in, just subscribed! I just subscribed. Count me in! Sounds awesome. Hey great blog and contest. I came here from The Blogging Idol – Suzanne’s site. I’ve subscribed by email. I actually just about bought that plug in but will now wait a few more weeks. Moved…and thanks for blogging about the contest. You didn’t verify..hence your subscription not counted. Subscribed using the email in this comment. I don’t need the plugin or anything but I did you a favor and blogged about it. Count me in. I’m Subscribed! done! subscribed and confirmed the subscription already using blogdemanila [at] gmail [dot] com. You all have been entered for the contest. Thanks for entering. Count me in, Ive already subscribe to your blog.